A Culture Mastery 4 C’s Process™ module that helps (a) identify gaps between their way of thinking and Qatari’s way of thinking; and (b) learn skills of cultural intelligence, cultural adjustment, and cultural negotiation. A unique approach to handling Culture Shock in any situation. Three handy tools to carry with you whenever you move and change cultures. A video-presentation featuring photos from all over Qatar, accompanied by a recording that will tell you about the National Culture of Qatar. Country’s proverbs can tell a lot about the country. This chapter contains proverbs that will help you understand Qatar. 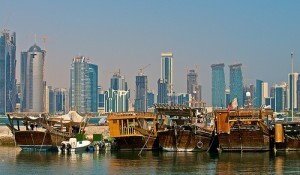 Doing business in Qatar? Managing staff? If you are going to work in Qatar, you’ll want to familiarize yourself with what may be different to your country’s corporate culture. Learn about your own cultural preferences. 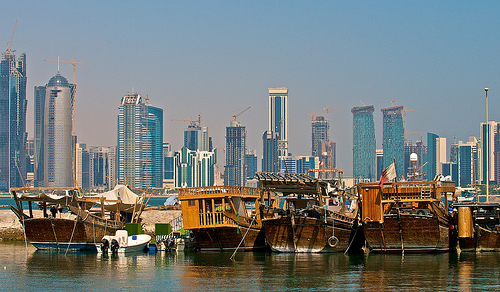 How do you compare to the Qatari within the eleven cultural variables? Learn about the Qatari cultural variables. How wide is the gap between you and them? Manage the gap you discovered in the previous chapter. Use the variety of coaching and training exercises to close the gap and, thus, become more effective in Qatar. Excellent tools for those gaps that are not so easy to close. If you are considering a purchase of this course for a few people in your company, a complimentary preview login is available. Please contact us to request your login. The fee for an individual participant is $199 USD. We offer company packages and can design an individual package for you based on your needs. The course materials are stored on a server for you to access and learn whenever you want. There is no expiration date, no class to be late for, and no time zones to negotiate. Just log in and study. If you are a coach, a trainer, and/or a consultant, and you’d like to use this course with your clients, you are welcome to purchase a license ($329 USD) to use it for 10 years with no additional royalties. Please contact us here to learn more about the license. Please contact us here if you are interested in purchasing a company package or previewing the course. Please click here if you like to purchase individual access.